You sad? Not any more! Have you ever had a bad day? One of those days in which you only want to eat chocolate ice cream? 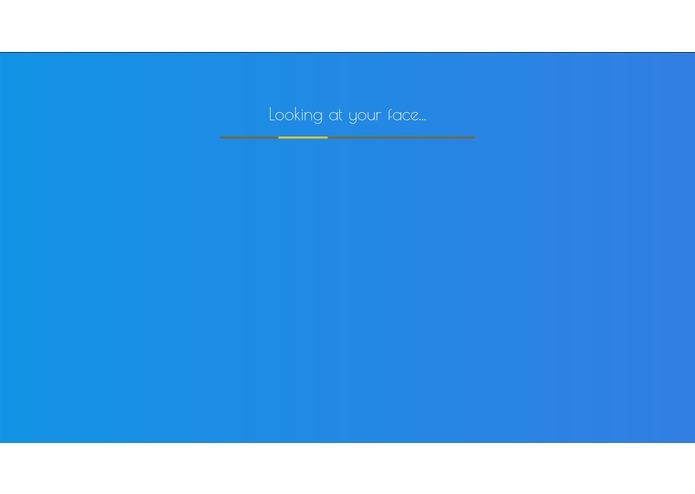 Those days are over, with ReactGif, we will analyse your face and show you funny stuff until you don't feel sad any more. 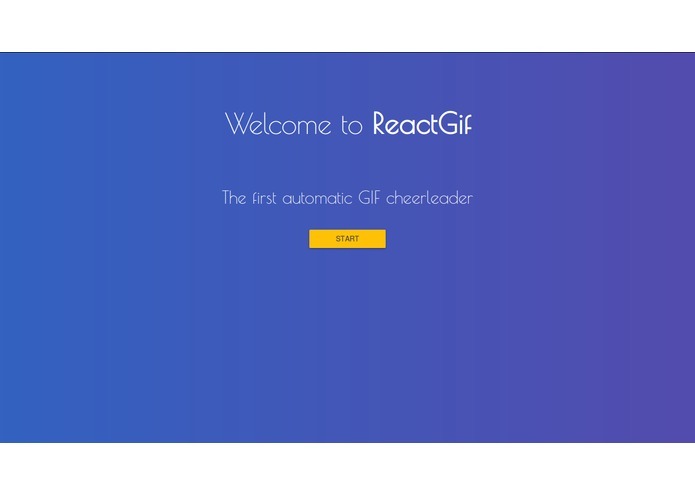 ReactGif analyse your face emotions and with a complex algorithm determines whether you are happy or not. 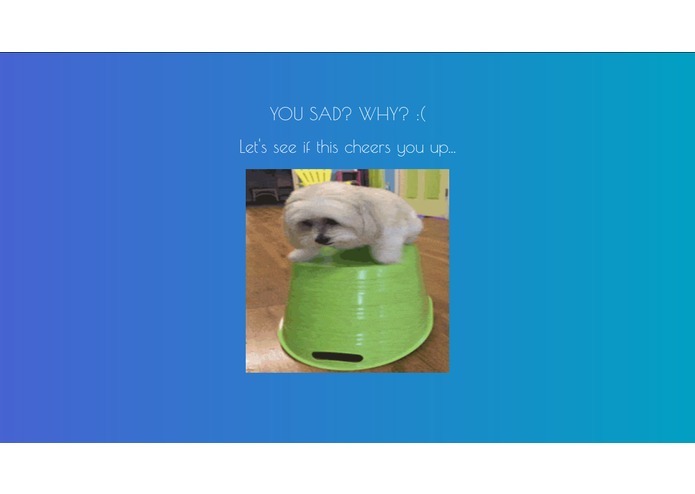 In case ReactGif detects you are not feeling good, it will display funny stuff until it detects you are happy. 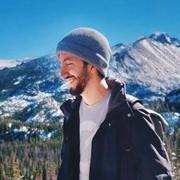 ReactGif uses the Google Cloud vision API to detect your face and obtain values for different kinds of emotions. 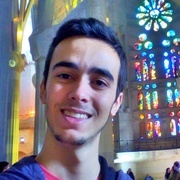 ReactGif also uses Flask to create the server and OpenCV to take tllehe picture. Evaluate reactions to specific gifs in terms of effectiveness, to improve the reaction chooser algorithm.